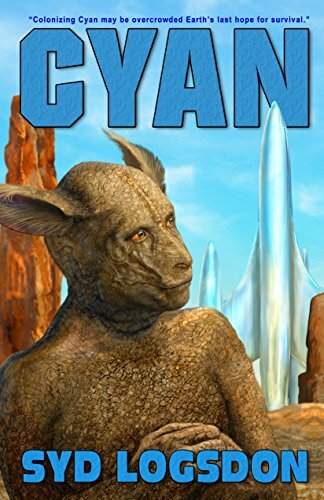 A week ago today, Cyan was delivered to those who preordered from Amazon, and went on regular sale. If you’ve read past the opening segment, you know that the explorers who returned to Earth found it greatly changed. From Cyan: All seemed well, on the surface, but something profound was happening to the people of Earth. They were waking up to reality. When interstellar exploration had begun, few had taken it seriously. Now the process was flushed with success, and that success carried the seeds of its own downfall. In point of fact, on our world, the war between NASA and the Air Force began on October 1. 1958, the day NASA came into existence and began to encroach on Air Force prerogatives. We’ll look at some of those early battles this week. This entry was posted in A Writing Life and tagged Cyan, literature, science fiction, writing on April 24, 2017 by sydlogsdon.